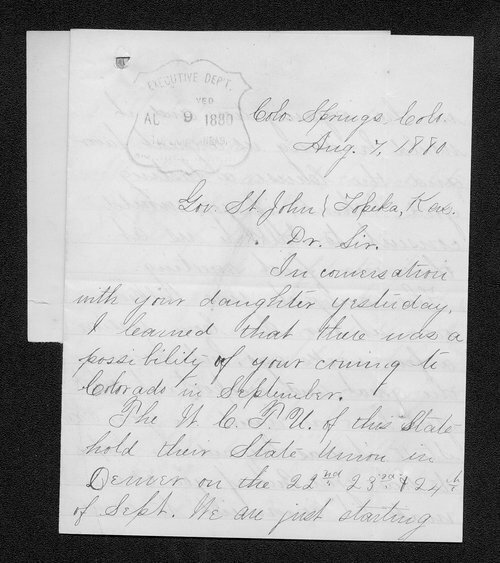 A letter from temperance advocate Mary Shields requesting Kansas Governor John St. John speak to her Colorado community in September if convenient. She states "we think that Gov. St. John is not of Kansas, but belongs to the world and humanity." Mary Shields was president of the Colorado Woman's Christian Temperance Union (WCTU).